* Copying reversed array into the original. * Here we are modifying original array, this is optional. 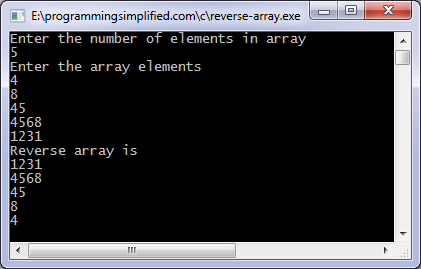 The array is passed to the function, and a new array is created, and contents of the passed array (in reverse order) are copied into it, and finally, contents of the new array are copied into the array passed to the function.